DO WE ALSO HAVE SALES RECRUITERS THAT SPECIALIZE IN RECRUITING TOP C-LEVEL SALES EXECUTIVES? Of course we do! Why? Because the founders and managing partners of our firm were all top C-Level Sales Executives themselves! A greater insight into the metrics, psyche, demands and responsibilities it takes to be a true leader, one couldn’t have. C-Level Sales Recruiting isn’t something we added later on, we founded our firm on it 20 years ago (and it has remained a big part of our recruiting model)! Since then, we’ve helped countless organizations in attaining their industry’s top “movers & shakers.” Our C-Level Sales Recruiters specialize in attaining Black Belt Six Sigma Certified candidates, responsible for hundreds of millions in company-wide sales and lucrative contracts. 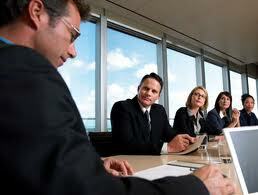 Don’t hesitate to contact us the minute you define the need for: VPs of Sales and Chief Sales Officers. Let’s not forget middle to upper management sales personnel. Our C-Level Sales Recruiters are experts in this as well, because sales management professionals are often the right arm to their Executive C-Level counterparts. Our exceptional sales management candidates include: Area Sales Managers, District Sales Managers, Regional Sales Managers, National Sales Managers, Global Sales Managers, Sales Directors, National Sales Directors, Global Sales Directors and more.